Full-color laminated mini memo boards give you the creativity and visibility of a larger write-on/wipe-off laminated memo board in a convenient 5.25 x 8.5 size. They are amazingly cost effective, and can be customized with any creative message, chart, illustration or logo. 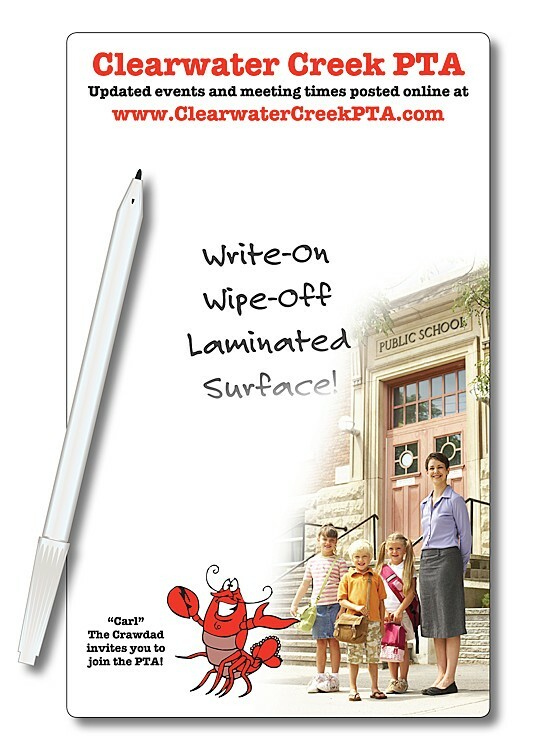 Used daily and placed in high traffic areas, mini memos allow you to get your message to parents and students throughout the school year. Leave a quick message to remind your student of important daily events. By providing contact information as well as the school calendar, memo boards make a great give away to kick off the school year.